BRYAN EATON/Staff photo. Cemetery preservationist Rachel Meyer led a workshop for members of First Parish Church of Newbury on how to clean and protect old headstones this past weekend. 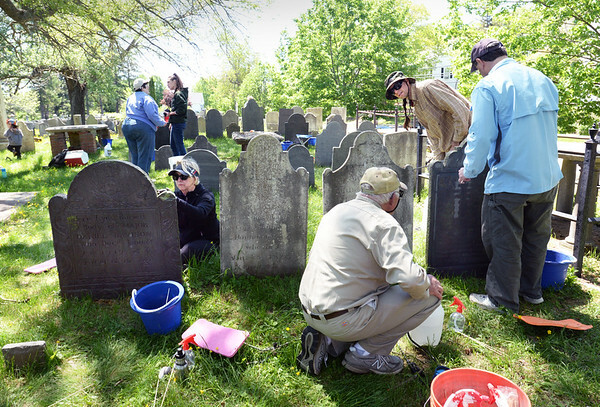 Participants learned techniques that will allow for ongoing headstone cleaning as part of a larger cemetery restoration effort. The workshop wass funded by a grant from the Newbury Cultural Council.